Will the Heroes movie happen? Heroes: Will the Wrap-Up Movie Happen? 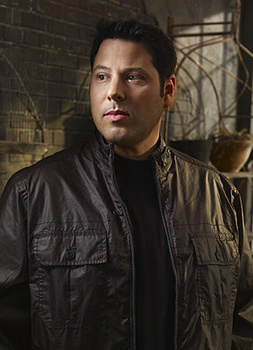 Greg Grunberg Has Doubts and Hopes. NBC recently cancelled its sci-fi TV show, Heroes, after four seasons on the air. The ratings have been in decline for a long time and it just wasn’t feasible to bring it back as a weekly series. Heroes creator Tim Kring has said that he’s working on finding ways to continue the saga in some way. NBC’s primetime entertainment president, Angela Bromstad, has indicated that they’ve already begun discussions about wrapping up the show with a two-hour movie. One castmember has some doubts though about the feasibility of being able to round up the large cast, both in terms of money and schedules. What kind of ending should Heroes have? What do you think? Which characters would have to be included for the movie to be a satisfying conclusion? How would you like to see the Heroes story to end? Happy endings, a big battle with lots of casualties, or something else? More about: Heroes, Heroes: canceled or renewed? Heroes: Is Tonight’s Episode the Season or Series Finale? Well there should be a good battle at least in the made-for-tv movie, so they better spend some money on special effects. Characters who’s actors wouldn’t come back if SyFi picked it up should bite the dust. Other than that, let the writers run wild! I would love to see this if it gets done. I for one am hoping this will be another one of those shows that SyFi does pick up. Why not at least shoot for it, it’s the best thing I can see, but If they get put on a different channel I will be happy with that too. I really like heroes, watched every episode from the beginning. I admit, it got a little shaky at the end. But I think the overall idea is great and I wish another network would pick it up and give it another try. It’s not much wonder the series popularity went into decline – idiotic scheduling by networks has reduced many promising series to “also rans”. – Heroes is just another one. i dont think it should be shut off somebody else should carry it on and make it better. It’s better off not happening (IMO, at least). Ever since the unsatisfying first season finale the show was on a nosedive toward cancellation. It was great that a lot of fans could find justification behind citing something like the WGA strike as the cause of why the second season felt imbalanced and underwhelming as a whole but once the third season rolled out it didn’t magically perk up or recapture a bit of that panache that it had during its Freshman year. Well I think the end should have these fallowing characters in it for it to be a satisfying ending Syler, Peter, Clare, Hiro, and Ando. They also should make the ending a great battle between the heroes and the villans and then at the end have the heroes win and then all live on with their lives. Have them destroy the world! I think the main characters they need are Peter, and Sylar. They can battle it out how ever they want. Don’t officially need anyone else, especially if they would be asking for to much money. OK, maybe Hiro, and Ando as well they make the show as well, but at the least Peter, and Sylar’s stories need to have some kind of closure to that story. For me personally, for the movie to be a satisfying conclusion I need to see Sylar and Peter for sure. I think at the end should be a big battle cause thats what heros is all about saving the world and fighting for what’s right. Now that people know who they are there should be a story line of good and evil have new people that have powers that are bad working for a mutant that can destroy the world and he heros have to find a way to defeat them and him.